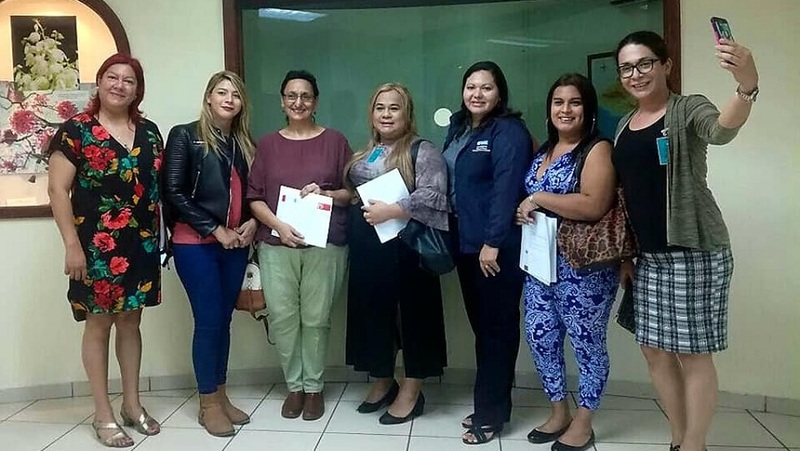 On March 22nd, the new Gender Identity Bill was presented in the Legislative Assembly of El Salvador at the iniative of the Standing Bureau for a Gender Identity Law. This proposed law, which gives gives all people in El Salvador the right to change the registry of their names in keeping with their gender identity, fulfills a historic claim of organizations that work for the human rights of sexual diversity. 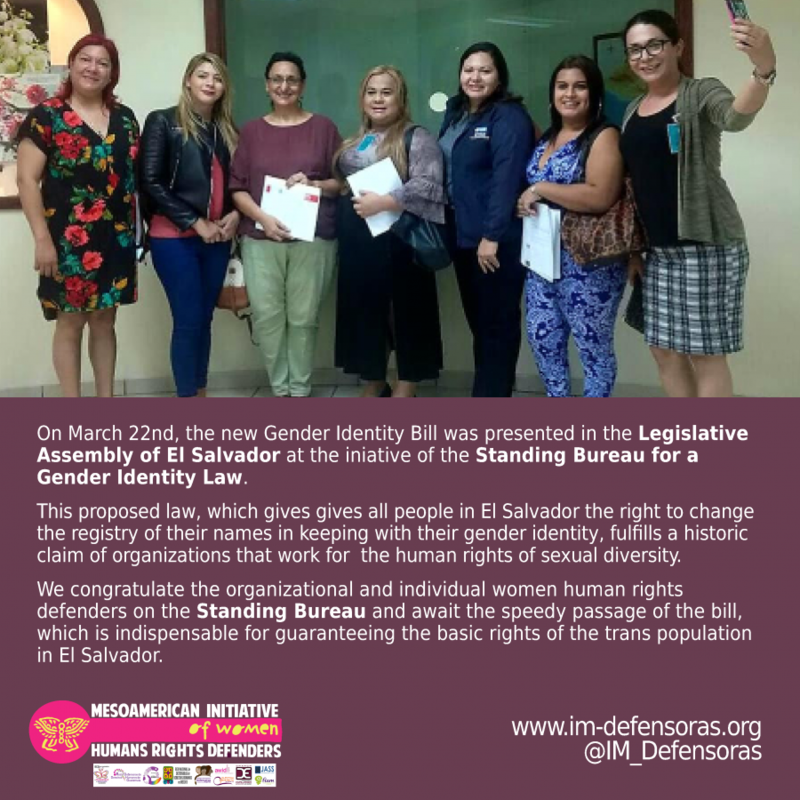 We congratulate the organizational and individual women human rights defenders on the Standing Bureau and await the speedy passage of the bill, which is indispensable for guaranteeing the basic rights of the trans population in El Salvador.